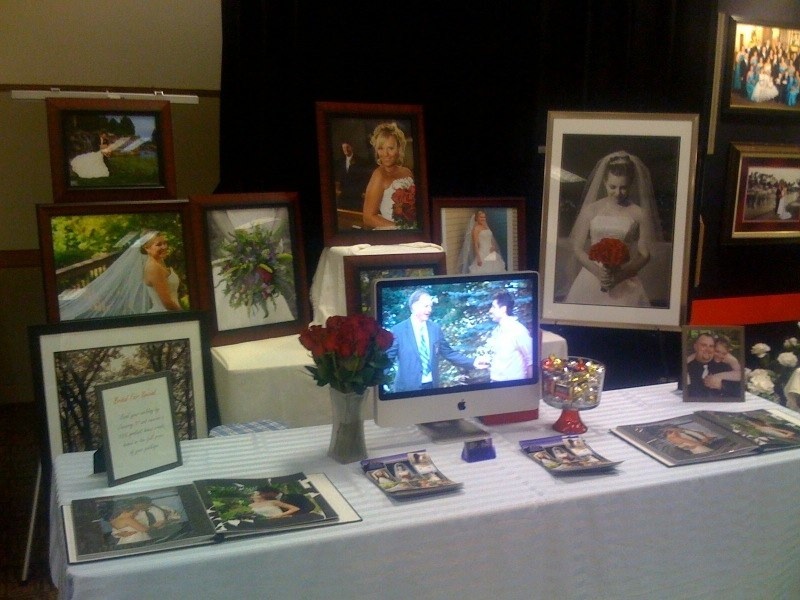 Well, we survived our first bridal fair – we started small in Hutchinson. The entry is very affordable and we have free lodging and babysitting there (grandparents are awesome! ), so it is a very convenient area for us to work. It was an interesting day. When we arrived, we discovered that there was not a wall behind us that we could hang things on like we were told. But, a quick trip back to the parents’ place and we had sawhorses, plywood and extra tablecloths to build a little table behind us. To the right, you can see the booth next to us (the red stripe) – another photographer! So, not the greatest layout, but hopefully we will get some couples calling for more info. It was nice to see that we are one of only two photogs in the Bride’s Guide that is put out by the Hutch Leader and the Litchfield Independent Review. 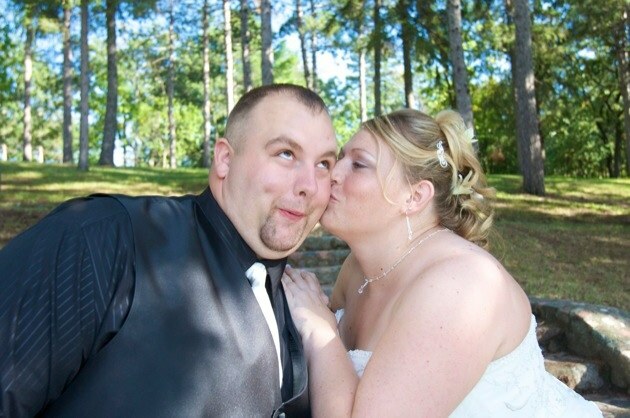 Here’s to an ’09 full of bookings!